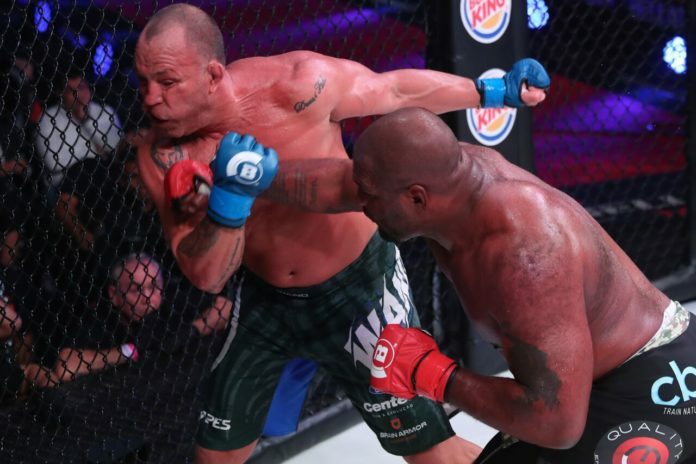 I'll admit I wasn't expecting much from legends Quinton "Rampage" Jackson and Wanderlei Silva in their fourth meeting at Bellator 206. At 40 and 42 years old, respectively, both Jackson and Silva have seen their better days. Jackson was on a two-fight losing skid heading into the contest, while Silva hasn't won a fight since beating Brian Stann in 2013. Considering how old these guys are now and how much damage they've taken in their careers, you could understand why I had low expectations for this fight. But I'll admit it: Rampage vs. Wanderlei was actually good, as these two blew away my expectations. 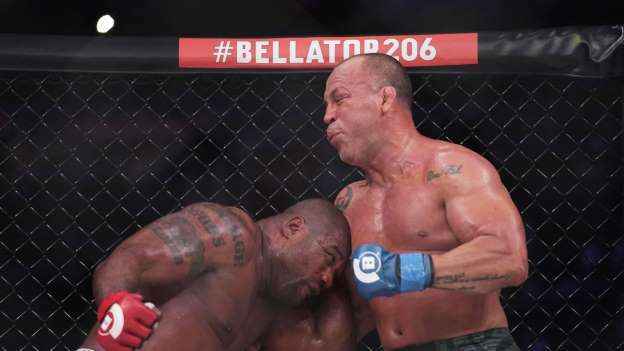 Both men stood toe-to-toe for the two rounds that they fought, throwing caution to the wind and landing bombs on each other's chins before Jackson landed a shot that Silva couldn't recover from, knocking him out in the second. The two are now tied at two wins apiece, all of them coming by knockout, with Silva having beaten Jackson twice in PRIDE and Jackson now having beaten Silva in both the UFC and Bellator. It's proven to be one of the best rivalries in MMA history. No doubt Bellator will aim to book the fifth fight between these two next. I can't think of any instances where two fighters have fought five times (aside from Jackson vs. Silva, the only other quadrilogy between two notable guys I can think of is Andrei Arlovski vs. Tim Sylvia), so Bellator could look to make history by breaking the deadlock between these two legendary names. Based on what we saw in the last fight it would be hard to take Silva in a fifth fight, but then again it's not like Jackson is without his flaws. Considering how fun this fourth fight was, and with Silva and Jackson not being in any sort of title picture in Bellator right now, I could see the fifth fight happening soon. 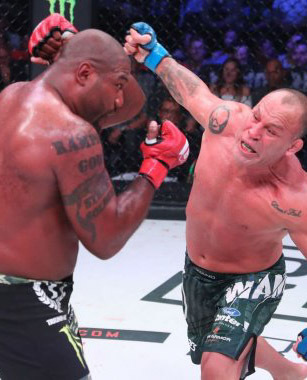 For now, Bellator will take what they got out of these two former champions, as Jackson and Silva put on a better fight than anyone could have expected from fighters in their forties. Both guys got paid a lot of money from Bellator for this fight, so it was good to see each man live up to his end of the bargain and put on a show for the fans. 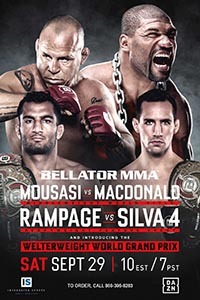 The majority of these legends fights in Bellator haven't been very entertaining, but I have to give Jackson and Silva credit for putting on a great fight at least one more time.